Three Sanibel Bobcat Kittens And their Mamma!!! Baby BOBCATS! What a SPECTACULAR sighting on Sanibel island! Actually, seeing the mama BOBCAT was incredible enough but to see three kittens tagging along after her made my heart sing! She was already teaching her children the ropes of living on Sanibel by taking her three kittens out for a stroll around my friend’s back yard. Watching the mother through a closed screened window, we were able to see her gather her kittens from under the house. She has obviously been living in this same area for a while and trusts my friends since she decided to make her den under their deck of the pool. They are so stinkin adorable! She looked up at the window a couple of times after an uncontrolled high pitched squeak came out of my mouth. “OOAAHH!” I just wanted to squeal in delight every single minute while seeing these sweet little faces! Get ready for warm and fuzzies, y’all…. Then she took them on a short walk through the woods to teach them where they will live when they get older. This one is the mischievous one. I can already tell this one is going to be the one that drives the Mamma nuts with worry. Ha! Believe it or not, she laid down in the shady brush just behind the house where we witnessed her nursing the babies. How did I get so lucky to see this? I have never been happier in my life living on this island where we can see the wonders of Mother Nature at her best and her fascinating wildlife. Thank you MN and to my friends that let me crowd the only window in the house to witness such a beautiful event. Oh But Wait!!!! I have a video of the babies!!! SpeCATular! Meow. Oh my gosh! That is such an awesome experience! Every time we visit Sanibel, we hope to see a bobcat as we are out and about, but we have not, yet. You are so very fortunate to have witnessed this beautiful creatures. So sweet and so cool!! That is just toooo cute! Thanks for sharing! I thought I saw a Birman cat in one of your photos awhile back…do you own a Birman? I have had Birmans for about 24 years. That is incredible….wonderful pictures as well. Absolutely adorable, Pam. Thank you so much for sharing this. That is so awesome! I can only imagine how excited you were… I love Sanibel Island and I love living over here on my coast too. I love taking slow drives off the beaten track to see what I can see… I’m past due and this just reminded me to go see some wonders in my piece of the world! OMG how cool! I just adore your excitement and enthusiasm! This is so awesome and wonderful! I love the SI protects wildlife and they can even thrive there! Way to go! They are sooo cute! It’s amazing how trusting the mother is. It’s not shells, but just as fascinating. Thanks for the post Pam. You are so Blessed Pam to live in your part of the world! With wonders of who knows what happening each day, how I would enjoy having that opportunity! Thank you for all the heart warming posts you continually bring to all of us! So incredible! Thank you so much for sharing with all of your readers. I love the excitement in your voice on the video! Wow, Pam! That is awesome! I saw a mom and 2 kittens on SanCap bike path, but no photos! It is such a thrill to see these beautiful animals. Oh my goodness! That is the cutest thing I ever saw! How little they are, and wobbly, and just so adorable! I wonder if the beautiful male I saw in 2011 west of Rabbit Road was perhaps the dad of this litter? But I suppose that in reality there are probably quite a few different bobcats on Sanibel, even though people don’t see them very often. When Ed and I did the tour of Ding Darling in 2011 we met someone who had just seen a half-grown bobcat a few seconds earlier; he showed us a photo he had taken of it running away. OMG, I’m squealing too! I’ll bet you could barely stop yourself from running out there to pick one up. Of course we’d never actually do it, but so tempting. Great pics and video, Pam. Thanks for sharing! That is amazing. They have such short tails. Thanks for sharing! Wowee!!!!!! Good for you to be as still as you were, recording that! I’d have been shaking like a leaf on a tree!! Wow! I thought I was lucky enough to see one at midnight on Sanibel. Beautiful find. awwwwwwww!!! So, so cutesy! I wuv those wittle kittens!!! you are so LUCKY to have been able to witness such a precious thing! and you rfriends, who’s house they are under must be and angel from kitty heaven! Adorable. So glad you caught them on video. Many thanks. Ohhhhhh…..how neat….About a year ago, Pam, my friend and I were going down SanCap near the sanctuary, and a HUGE one crossed the road in front of us – so big, we looked at each other, and said WHAT was that???? Musta been the king of the island – much larger than this mother – we thought it was more like a mtn. lion!!!! So neat…I’m so glad you got to see this – what a blessing. What a joy. that is incredible….how lucky you are to have had that right in front of you!!!! I live on rocky point in stuart…on the east coast, and we live in a hammock area with a preserve in our back yard, so I occasionally get a visit from on of the bobcats that inhabit this area, but to see a litter like that…amazing!!!!!!! Hope you have many more great visits like that!!! thank you so much for posting this…love it! As far as wildlife encounters go the best one happened on mother’s day several years ago…woke up to find 5 ducklings sitting on the doormat of our sliding glass patio door…it wasn’t the first time i had been in the position to play mother teresa to wildlife! So i had my 3 kids go and find something i could carry the duckings in and down the street we walked with our feathery cargo to a lake in the neighborhood..we put the babies at the water’s edge where they started “quacking” and within seconds their mother came ducky paddling over quacking up a storm…i think i she was saying something like “i TOLD you kids not to leave the lake…just wait til your father gets home”……. Wow wow wow, but as I was gasping in delight my responsible side was petrified that these babies will grow up amidst human voices, scents and sights. I’m not an expert but isnt this very dangerous for the babies to be in this environment, without healthy fear of humans? Not everyone is kind in this world…………..
Monica, i think sanibel is really a wild life preserve for all critters…humans included!! Amen – The awareness and protection of preserving the wildlife on Sanibel is what made my husband and I fall in love with the island!!! 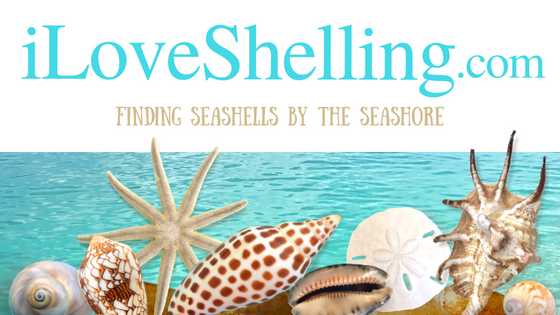 Well, part of the reason, the beautiful beaches, the sunshine, the great places to eat and, last but not least, the SEA SHELLS! <3 Thanks for sharing with us, Pam!! This is absolutely amazing that you got to witness these beautiful babies so close!!! I have to admit that I'm a bit jealous this morning! This is definitely the last topic I ever would have thought to see on your blog, and now one of my favorite posts ever! You are so lucky to have seen such cuteness! but thanks to your efforts we have now enjoyed these precious bob cats !! I have shared your photos and videos with friends around the world…. Your website is a cyber classroom as well as a cyber shelling adventure. Thanks for posting and sharing Pam! Just awesome. No, it was a different picture taken inside your house. I think Dustie was on the floor and just happened to get in the picture. I saw it quite awhile ago on I Love Shelling Facebook. Great picture of you and Dustie on instagram! We bring both of our kitties…a Birman and a Tuxedo who is a rescue, to Sanibel a couple of times a year. How amazing and wonderful! You’re so lucky to have seen them! You can thank the folks that insisted on preserving so much open land and having a buffer between the beach and the hotels for that wonderful sight. I saw a bobcat walking the greenway along the beach at dawn, right in back of the hotels. I met a woman on a flight to Sanibel who said that she wouldn’t stay in Sanibel because they let all of those weeds (native plants) grow next to the beach. I replied, “Believe me, they won’t miss you.” The rest of the flight was quiet! We have a birman(mix) and a tuxedo too!!!! Smittie and Dustie. Marilyn…Good for you, I would hve applauded you for speaking up. If someone can’t enjoy ALL of God’s miracles then them go somewhere else. What a fabulous sight! You are very lucky indeed! Wow, you made my day!! How fabulous to have witnessed this and then kind enuf to share……..
Wow! So happy you were able to see a bobcat with her kittens – I could feel your excitement! It is amazing all the wildlife that lives there. Hopefully they will stick around for you to watch them grow up :-). That is so cool that we have look a like kitties. Beanie is our Tuxedo and Holly Go Lightly is our Birman…..she was born in the year of the “H”. Pam, would like to meet you sometime on the beach. My husband also loved your Bobcat pics and video! Mewow!!!!! The elusive Bobcat – with babies yet. My heart be still. are they still there? What a thrill! Just returned from long weekend at Pink Shell Resort in Fort Myers Beach to celebrate anniversary. We were drawn to Sanibel Island 3 of four days. We rented bikes on Sunday to explore the island. En route to Captiva Island we were startled to see a large bobcat stroll across the road and pause on the bike path just in front of us before she casually made her way into the wooded area. This was on Sanibel-Captiva Rd. about 4 miles west of Billies bike rental. Wasn’t sure she was going to move as we approached her. Memorable experience. Beautiful bobcat.